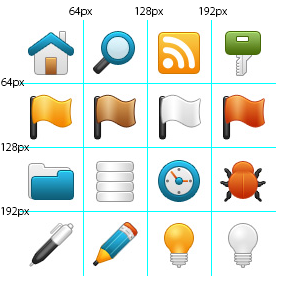 Share the post "CSS Sprite Image"
This image contains different icons that we will be using. To use a specific icon, we need to get the x and y coordinate of that icon and the width and height. In our sprite image, each icon is 64 X 64 in pixels. 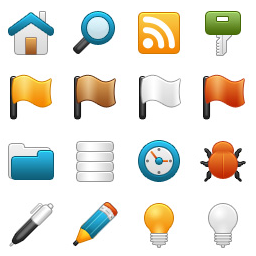 This means that the home icon is from 0 to 64px, the search icon will be from 64px to 128px and so on. Report here any bug you have encountered.